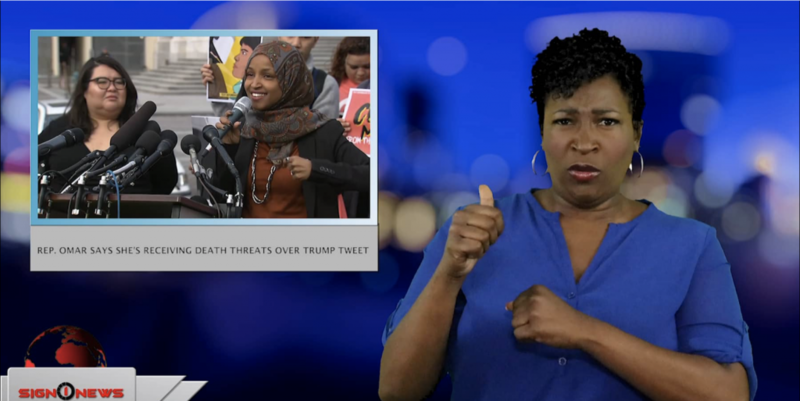 Minnesota Congresswoman Ilhan Omar says death threats against her have spiked since President Trump tweeted about a speech she gave last month. In the tweet, the President wrote “We will never forget!” over a clip from a speech Omar gave last month to the Council on American Islamic relations. The clip posted by the President edited parts of the speech into footage of the Twin Tower attacks. In a statement Sunday, Omar accused the President of encouraging right wing extremist violence. House Speaker Pelosi says she has spoken with the House sergeant-at-arms about Omar’s personal safety. White House Press Secretary Sarah Sanders on Sunday denied President Trump was encouraging violence.